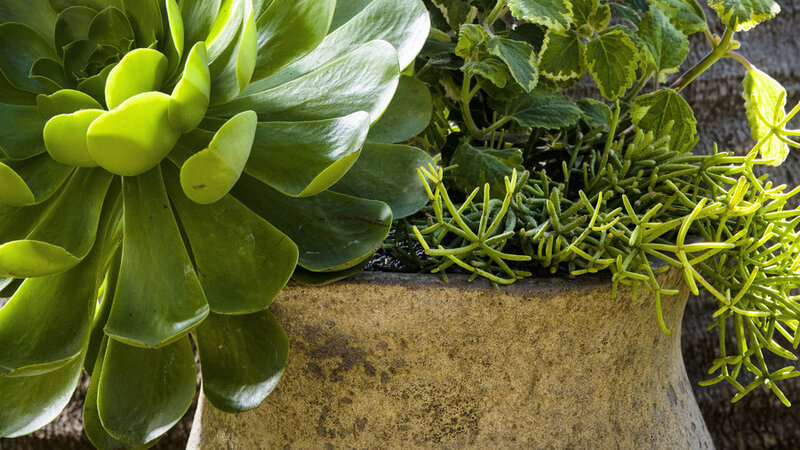 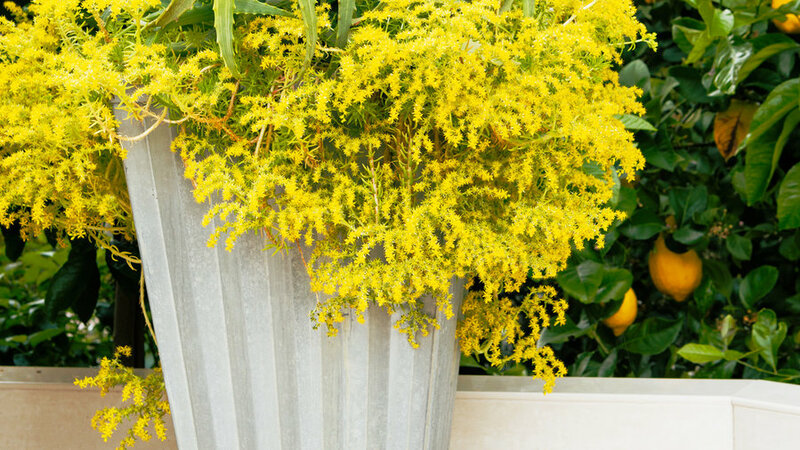 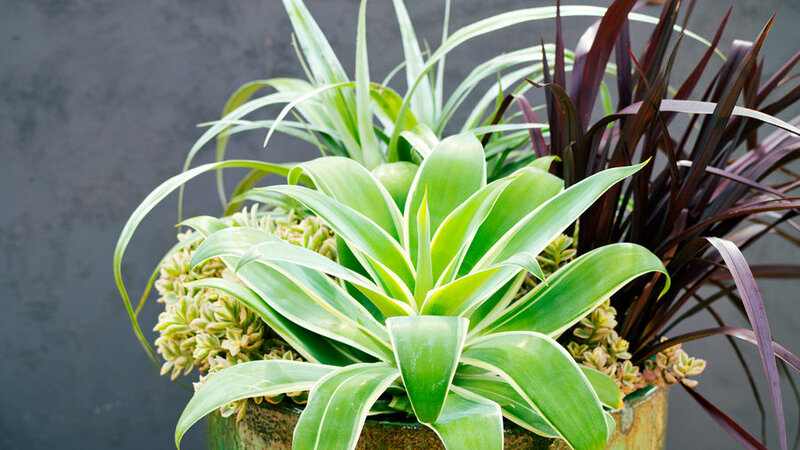 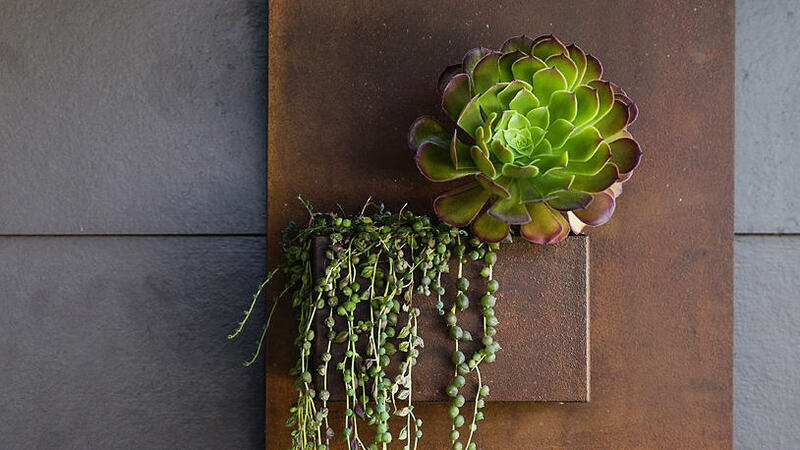 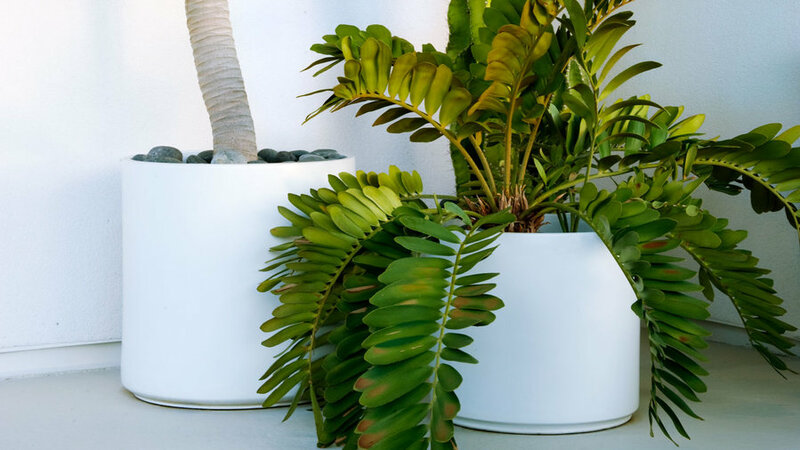 Hang a vertical planter by your front door to give a hip, urban feel to your doorstep. 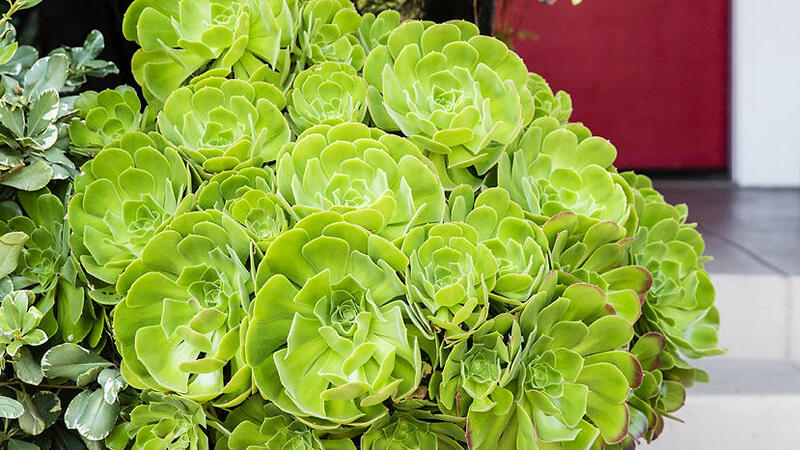 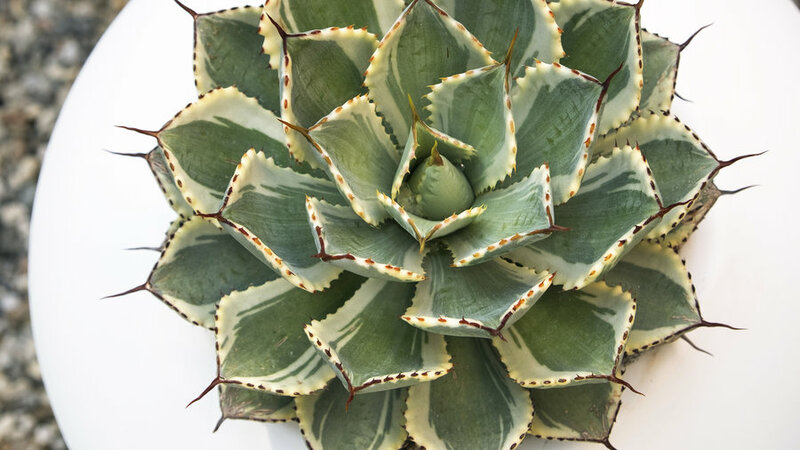 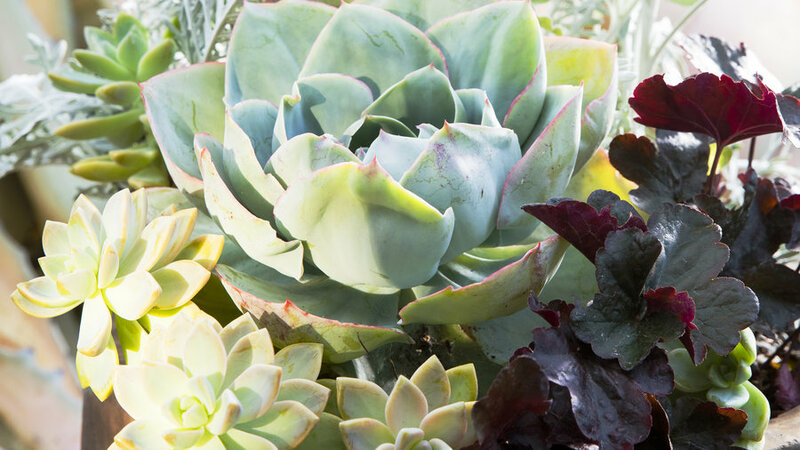 The living picture is dripping with ‘String of Pearls’ succulents (Senecio rowleyanus) and bronze-tipped aeonium. 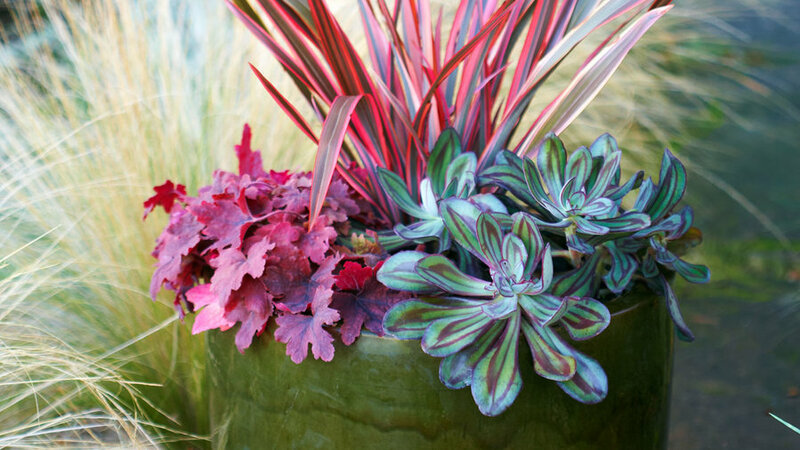 The is available from Potted LA; . 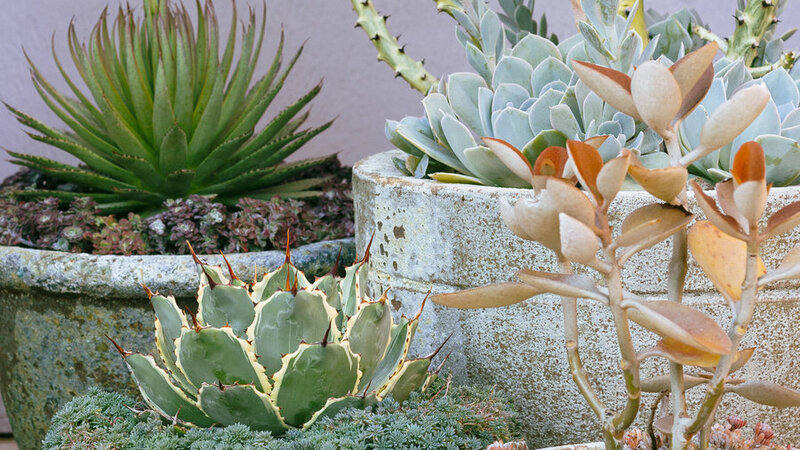 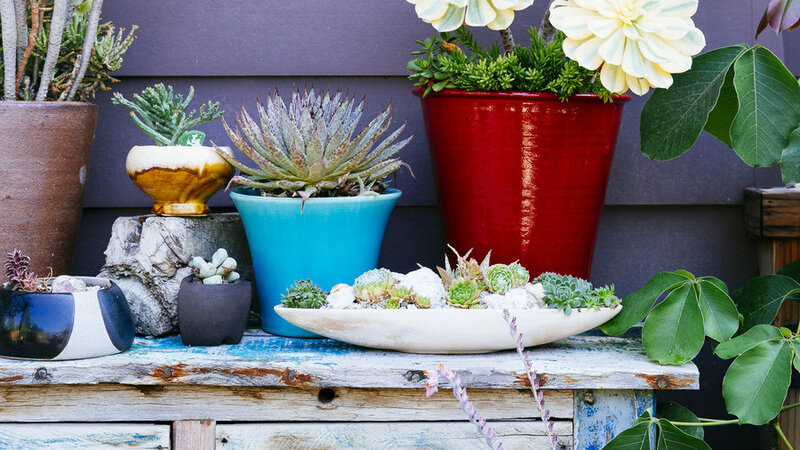 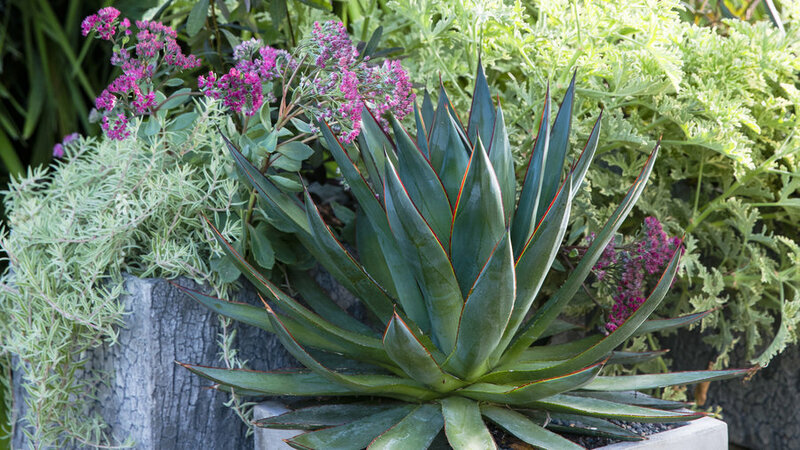 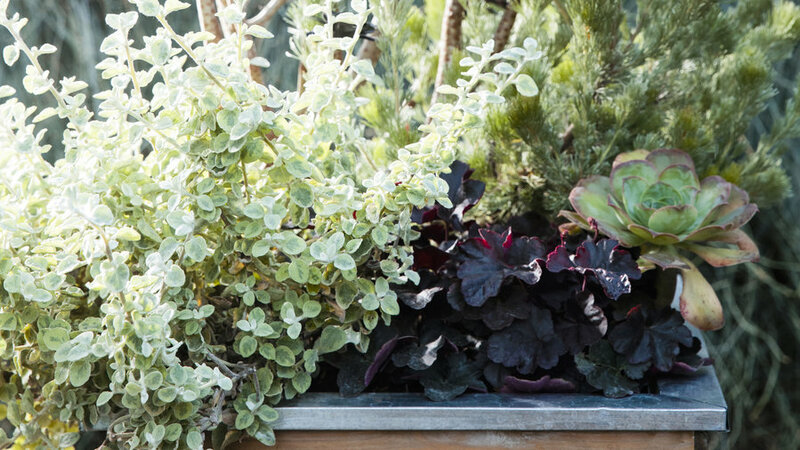 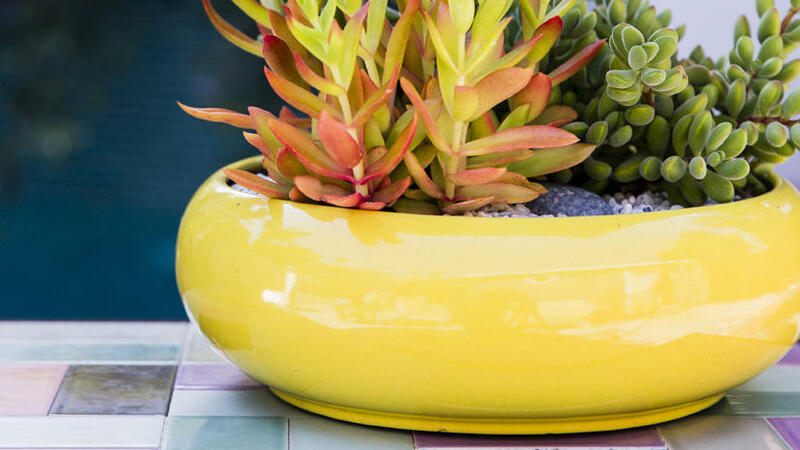 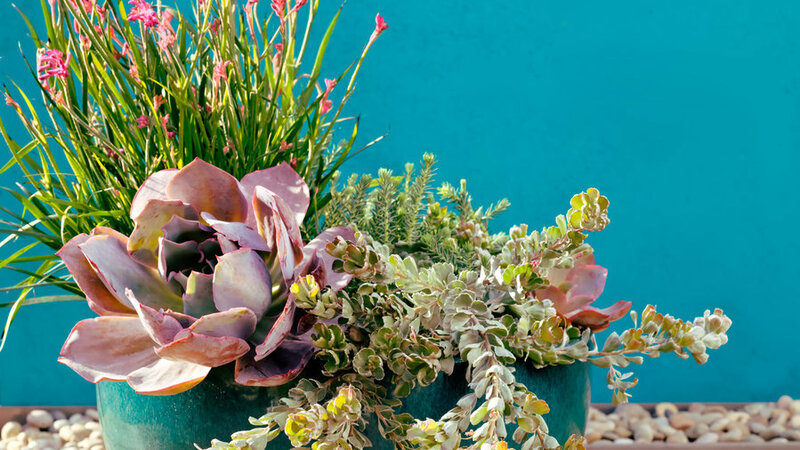 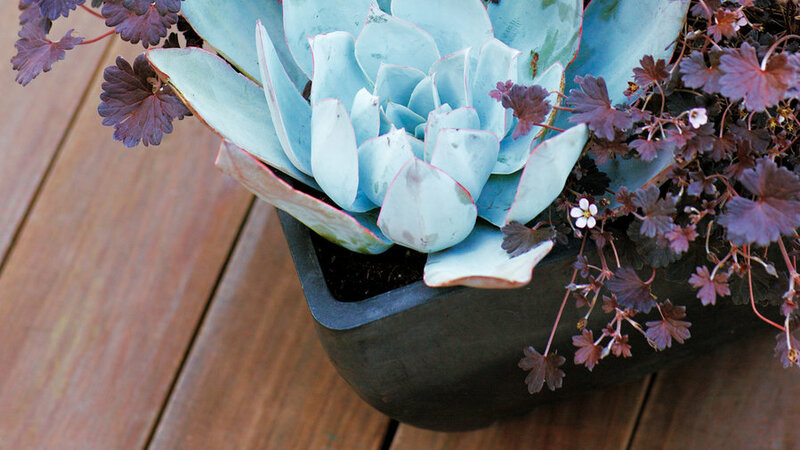 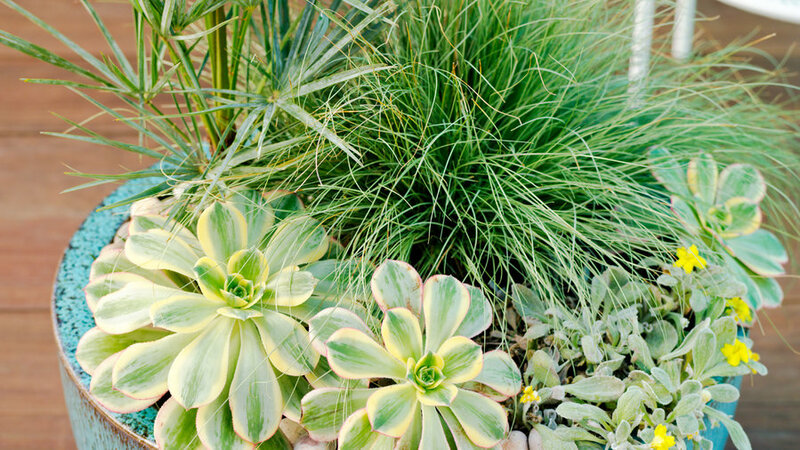 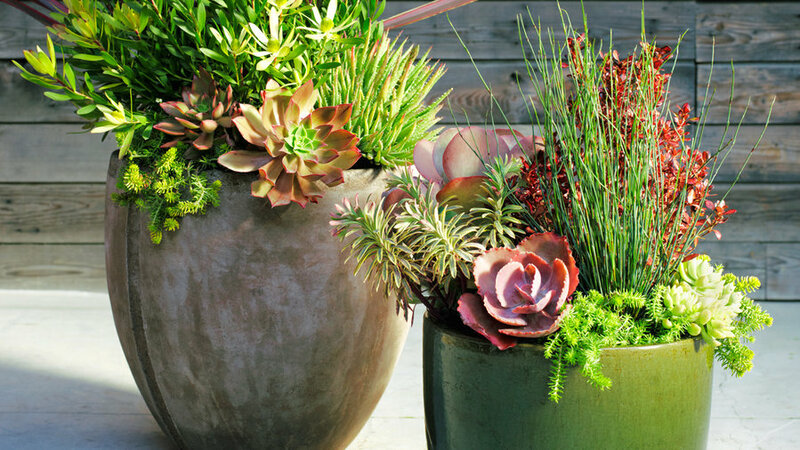 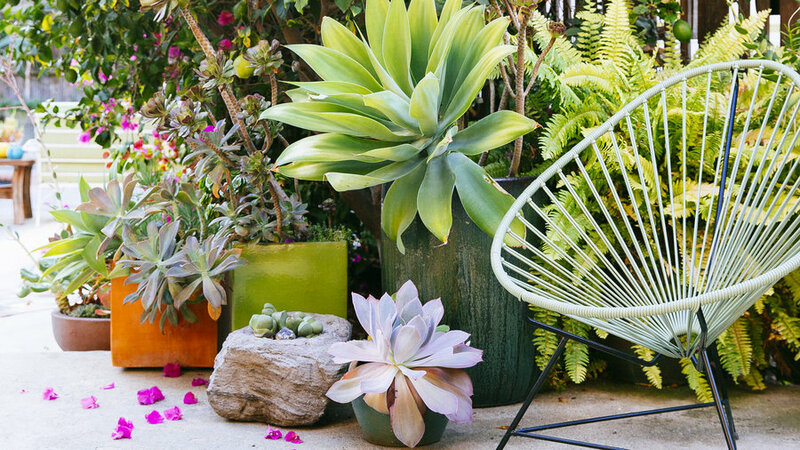 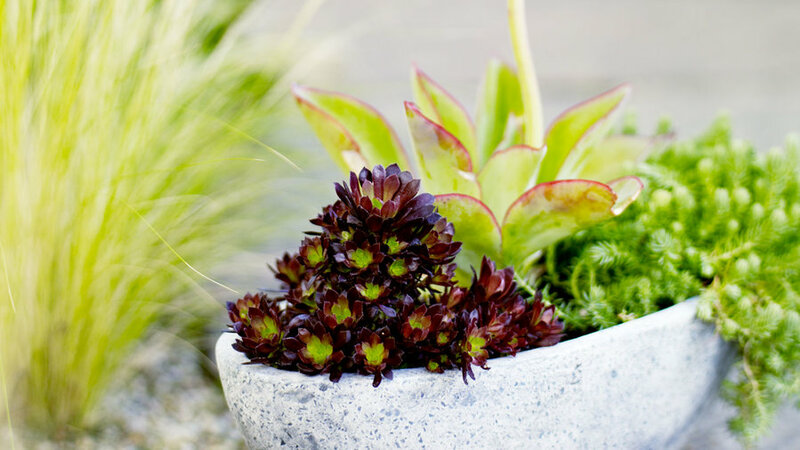 Designer and co-owner of L.A.-based nursery Potted, Annette Gutierrez uses a weathered wood sideboard to display a collection of potted plants, such as ‘Sunburst’ aeonium with sedum (in red pot) and a tiny succulent landscape in a low white bowl. 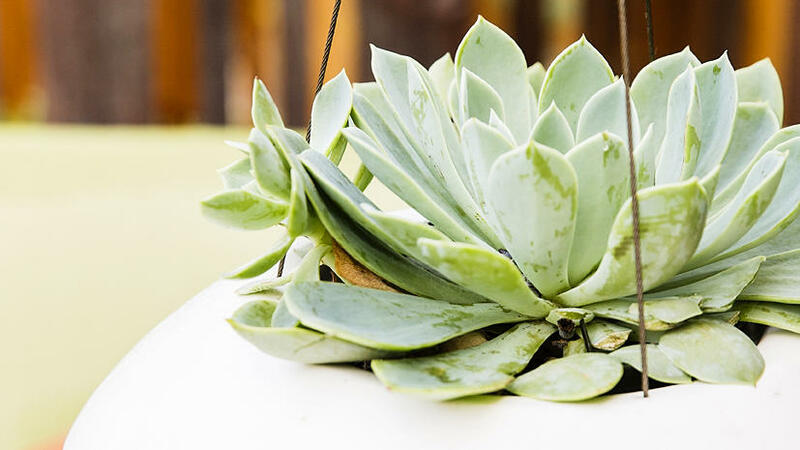 Low white from . 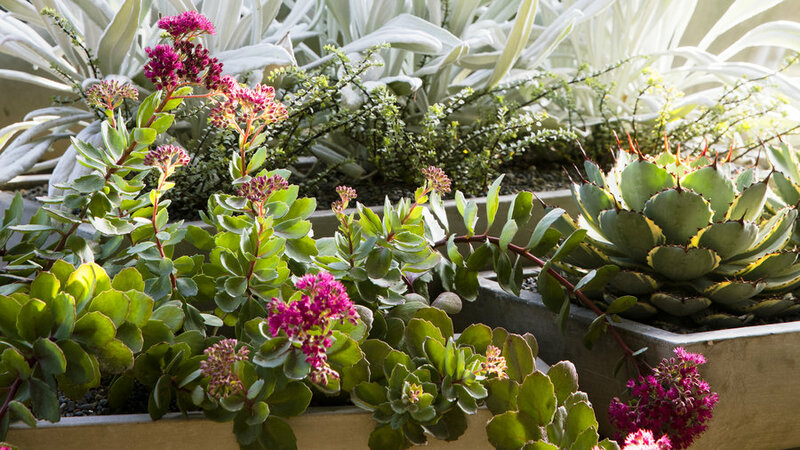 A bougainvillea and a citrus tree were not enough to cover the back fence, so 's Annette Gutierrez filled the understory with potted succulents including Graptoveria ‘Fred Ives’ (in orange pot), Aeonium (light green pot), Echeveria ‘Afterglow’ (low blue-green pot), Agave attenuata (tall green pot) and sword fern (far right). 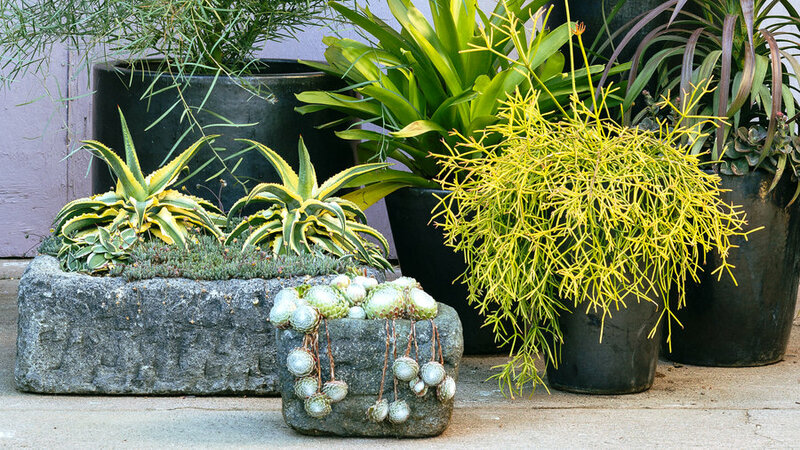 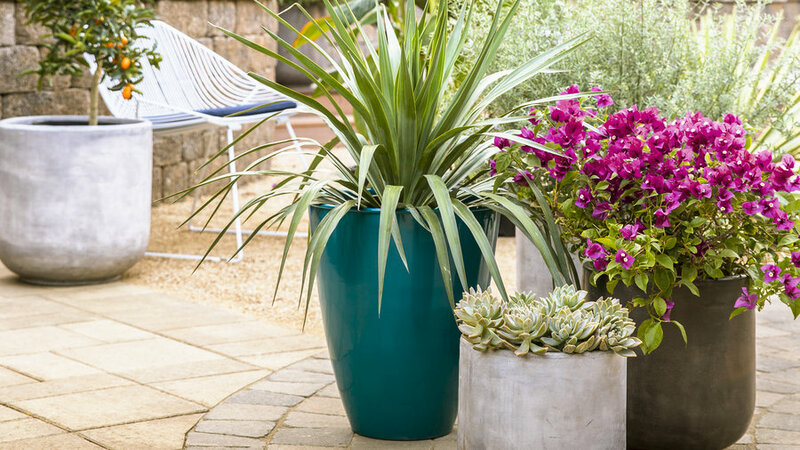 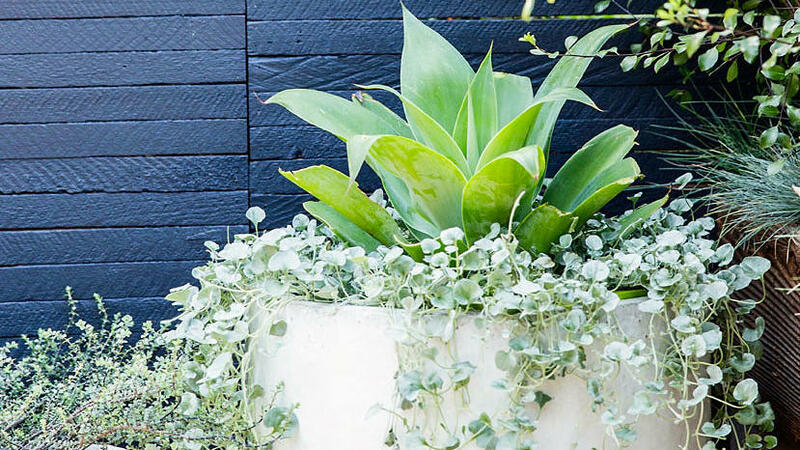 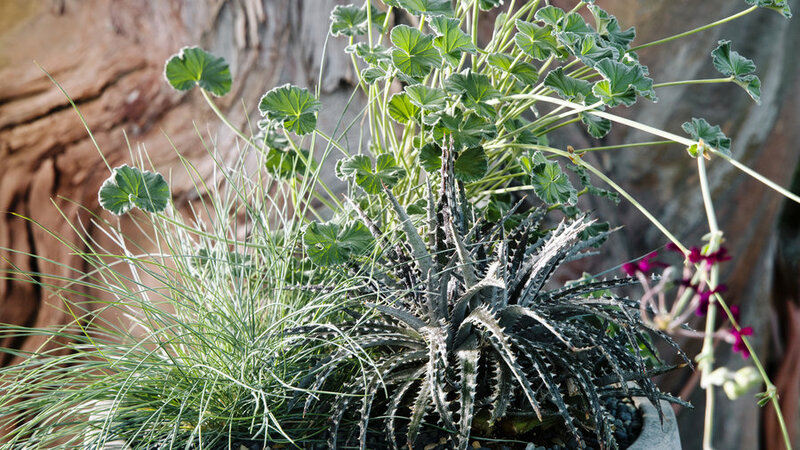 Glazed ceramic containers filed with a pale green agave (Agave attenuata) and trailing silver dichondra (Dichondra argentea ‘Silver Falls’) pop against a dark painted wood background. 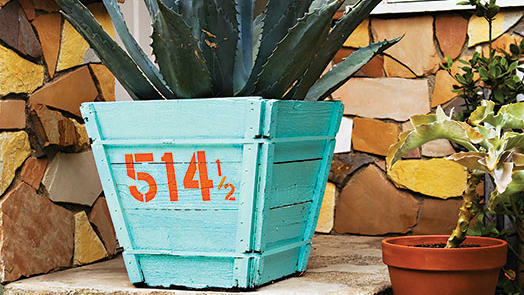 Design: Beth Mullins, . 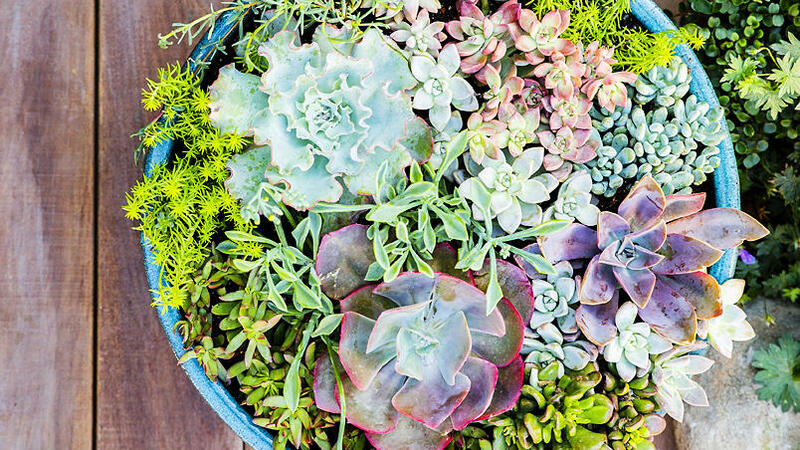 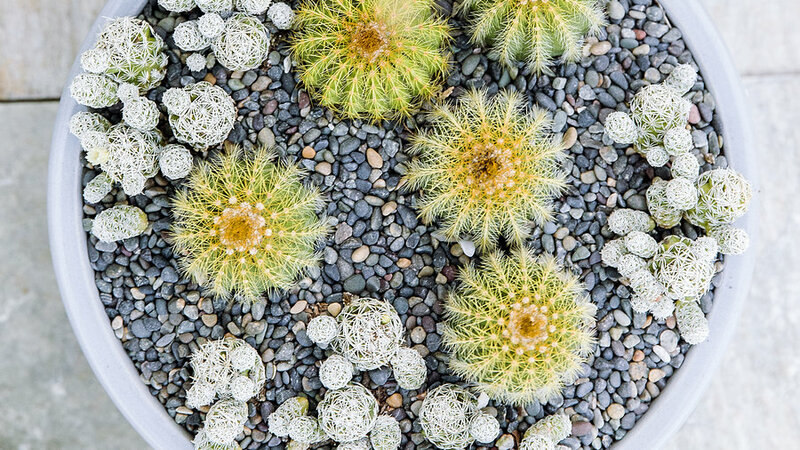 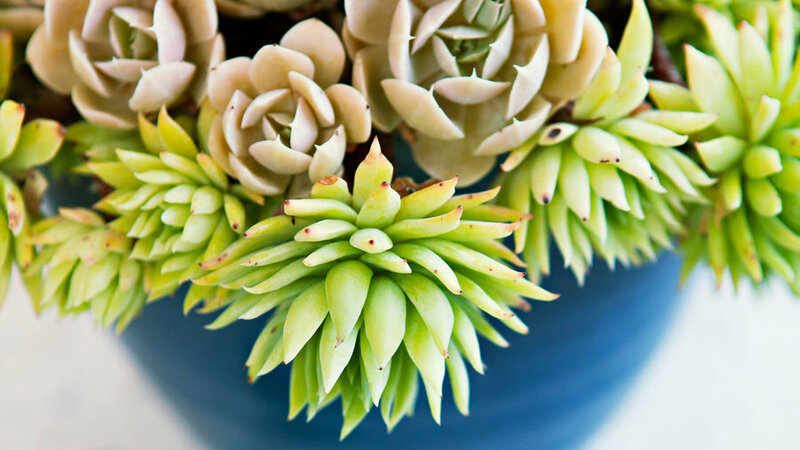 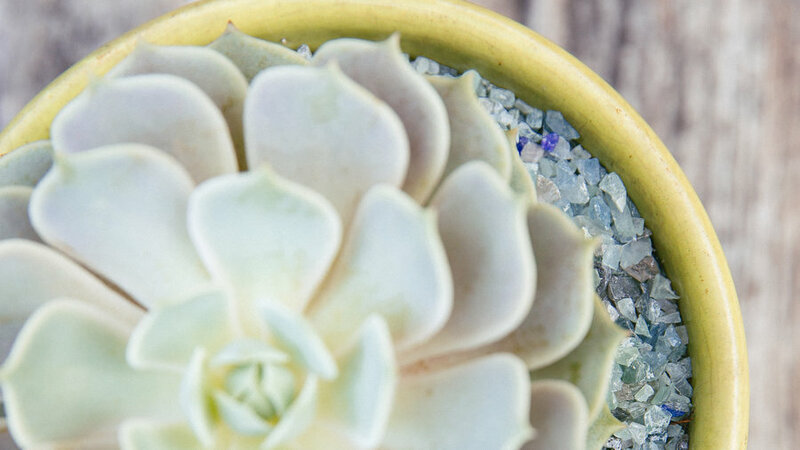 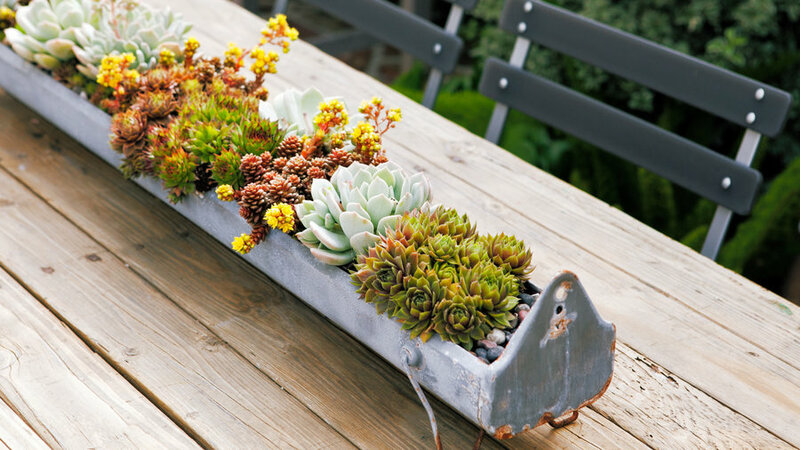 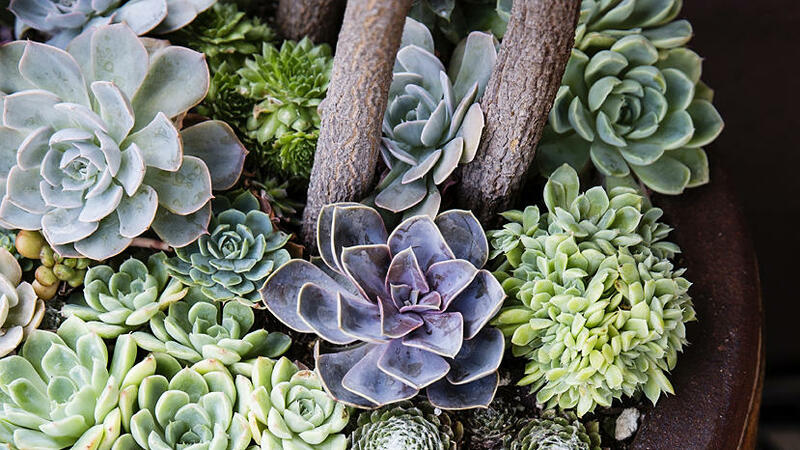 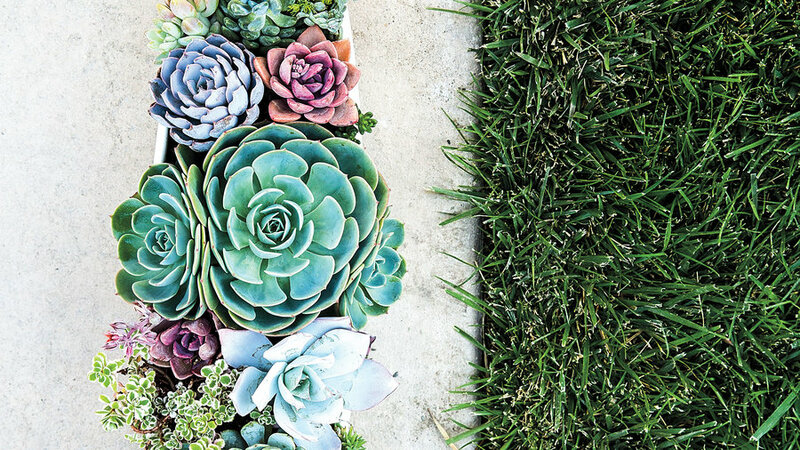 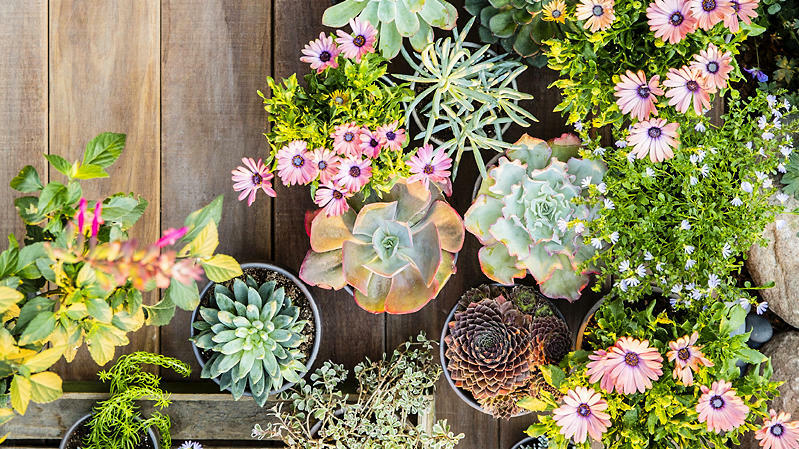 Costa Mesa garden designer Molly Wood fills vintage metal chicken feeders with tiny succulents for a rustic centerpiece. 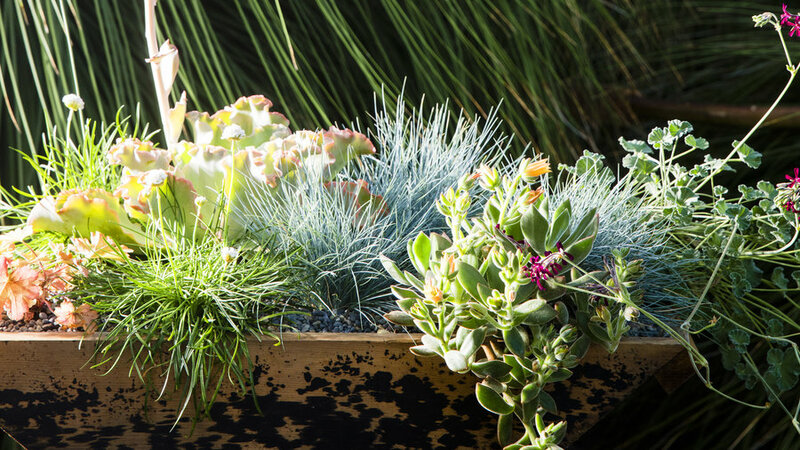 Hen and chickens (Sempervivums), echeverias, and a dainty stonecrop grow in cactus mix in a 4 1/2-inch-deep trough. 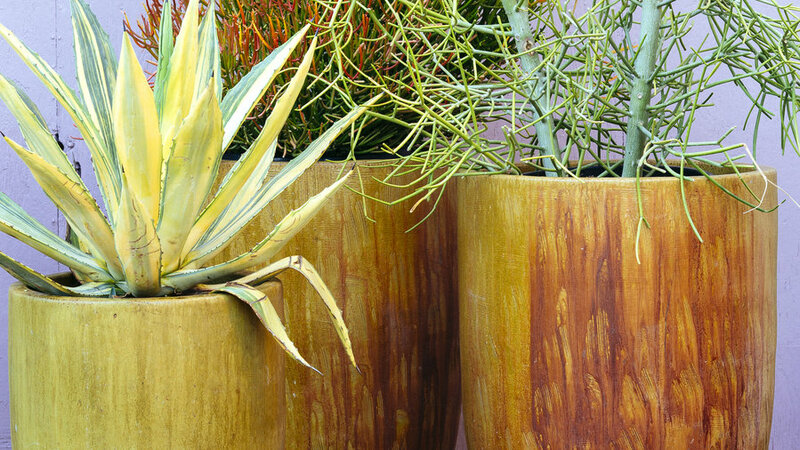 Design: Molly Wood Garden Design, Costa Mesa, CA; .